New affordable diagnostic tests are needed and funding to run educational courses and support people to attend educational programmes is required. Professor Malcolm Richardson, Professor of Medicine Department of Medicine, Director and Consultant Clinical Scientist in Mycology, Mycology Reference Centre, University Hospital of South Manchester & Professor of Mycology, University of Manchester. How have you helped GAFFI so far: Prime function has been to conduct a survey of laboratory and radiology capacity of hospitals throughout Kenya with the intention to advise the Kenyan medical authorities regarding a funding request to the Japan International Cooperation Agency, application submitted, decision pending. Personal comment on the major needs in Great Britain which GAFFI should be addressing: Heightened awareness of fungal infections and the research base already in place to develop new diagnostic platforms, through seminars and newsletters. Also, support one UK/EU student to enroll for the University of Manchester Masters in Medical mycology. 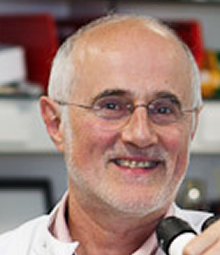 British Society for Medical Mycology (http://www.bsmm.org), UK Clinical Mycology Network LINK.International Society for Human and Animal Mycology (ISHAM): From May 2015, Professor Malcolm Richardson takes up the position of President of ISHAM (www.isham.org). This position will facilitate outreach to the majority of mycological communities worldwide.